It doesn’t seem like it was that long ago when “social media” was a new, strange thing. But we’ve come a long way since the days of Myspace and Friendster. Some networks didn’t stand the test of time, while many others are nearly-indispensable parts of our daily lives. Not only that, they are a huge help in marketing for any type of business. So where do we stand as we start 2019? What networks should be on and how should we use them? Let’s take a look at a few of the biggest networks and how we can best make use of them to support our contracting services. Basic methods of using social media haven’t changed. It’s important to be engaged. That means publishing regularly and responding to both messages and comments on your posts. You can find more information on these general social media principles in our earlier article. Last year was a horrible one for the reputation of the biggest of all social networks. From issues of fake news to privacy concerns, the company was under attack constantly – and justifiably. Its behavior leaves a lot to be desired and its reputation has taken a much-deserved beating. However, it’s still by far the largest social network, with well over two billion users worldwide. More than half of all people in the US and Canada have accounts here. So it’s not a channel to be ignored. Facebook is no longer the “cool kids” network. Even though it was started for college students, a lot of younger people have moved on because this is now where their parents are. In fact, about 58% of Facebook users are between 25-54, which is a great demographic for contractors to reach. These people are buying and renovating homes, so it’s a great group to reach. And Facebook membership cuts across all demographics. First, it’s important to remember that you should have a Facebook page for your business. The original account you create where you have friends is a profile. According to Facebook’s Terms of Service, a profile represents a real, natural person (that is, not a corporation, fictional person or other entity). It’s not designed to be used for a business. A page, on the other hand, has all the tools you need to market the business. Anyone can “like” and “follow” you, you can promote yourself with paid advertising, and far more. Setting up a page is rather easy and Facebook automatically walks you through it, even making suggestions about what information to include. Of course, once you get started, it also provides “Insights”, which helps you track where you’ve been successful and where you need to improve. To engage well on Facebook, you should publish at least three times a week and up to twice a day. This isn’t primarily a business network, so it’s ok to have fun and post the occasional “cute cat video” or TGIF image. It’s never a good idea – here or elsewhere – to just talk about yourself. Share information that might be of interest to your followers. Usually this takes the form of hints and tips from related industries. This will help keep them coming back and raise the possibility that they will remember your brand. Ten years ago, Facebook advertising was honestly a lot simpler and cheaper. It was basically a free way to advertise with even a minimal investment of time. That’s not to say it’s expensive now – far from it. Social media advertising is still highly cost-effective. It’s just more costly than it was in the early days. As the field has gotten more crowded and there are more businesses advertising, it’s harder to stand out. And of course, Facebook is a for-profit business so they’ve found ways to configure their algorithms so that paid advertising becomes more attractive. In short, it’s a good idea to invest some money in Facebook ads. While it’s free to set up a page and publish as often as you’d like, investing in paid options to gain page followers or to promote individual posts is definitely worthwhile. Of course, this needs to be done through “official channels” – don’t fall for scams like offers to sell you “1000 Facebook page likes.” Those come from fake accounts and do nothing for your brand. Instagram is owned by Facebook and continues to grow in popularity. It’s all about the pictures – you can’t create a publication without a photo or video. But that’s fantastic when you’re trying to show off a visual product. In our case, it’s wonderful for stamped concrete. But even if your product or service doesn’t lend itself to visual images, there are a lot of other images you can share. Instagram isn’t quite as big as Facebook, with “only” about a billion worldwide users. That doesn’t even put it in second place, but that’s an enormous potential audience. About 30% of men and 39% of women in the US have accounts. Nearly two-thirds of Instagram users are between 18 and 34 years old. That means they’re younger than Facebook users, but that still represents a good target demographic. At the younger end, they may not be ready to invest in real estate, but they will be in the market soon. And at the higher end, they’re definitely on the way to being first-time homeowners looking to add the best to their purchases. Pictures! Pictures! Pictures! Oh, and hashtags! All social media needs to be visual, but it’s the entire basis of Instagram. It’s a fantastic way to show off your projects. Take pictures before, during, and after. Short videos are great as well. 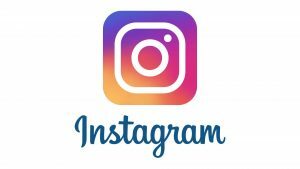 You can upload 1-minute videos to the main feed in Instagram, and in the Instagram Stories function, they’re limited to 15 seconds. Hashtags are also huge on Instagram. While they’re important on some other platforms, they rise to a new level here. Using fifteen to twenty hashtags isn’t uncommon and can be highly effective. Use hashtags relevant to your work and your area. Check out your ideas first – just try searching for them in Instagram’s search bar to see how often that hashtag is used. The more, the better! Of course, you can try to start trends too. Hashtag your brand name, like #patternedconcrete and hopefully, others will share it as well! Like Facebook, Instagram is a great platform for publishing 3-5 times a week at a minimum. But more is great here, too! One of the biggest challenges with Instagram is forgetting to or being afraid to take pictures. But if you walk around with a cell phone made in the past several years, you already have a good camera in your hands. Did you know that there are even movies being made with nothing more than a cell phone? If films made with an iPhone can win prizes in major international festivals, then the same phone cameras are good enough for your Instagram use.So start snapping those photos! Another difficulty with Instagram is that you can’t include links. Sure, it’s possible to have a link in your profile. You can put the link text in an individual publication but it won’t actually work as a link. The user has to copy and paste it into their browser. One way around this is to put the link in your profile when you want to highlight a particular page or article. Then when you publish a post, just write that the link can be found in the profile. It’s still awkward, but slightly easier than copy-paste. Instagram paid ads run on the same system as Facebook’s – you can configure the two together. Paid ads do help boost your reach although, with a combination of good hashtags, good pictures and an effort to be interactive with others, you can do really well. Yes, YouTube is a social network, even though it may not appear so at first. It’s part of the Google family, so it integrates well with your Google My Business, Gmail, and other Google tools. That means you just need a single sign-in to manage them all! YouTube is actually second to Facebook in audience size. Obviously, it’s all about the videos. Every minute, over 400 hours of video are uploaded to the platform. YouTube’s popularity forced other platforms to develop their own video capabilities, as well. This platform really reaches everybody. One survey showed that over 90% of all people in the US had at some point used YouTube to see a video of some kind. This provides an incredible opportunity to reach a huge cross-section of the populace. There are also a variety of ways to use the platform. Most obviously, you’ll be publishing videos. These can be short spots or full-length shows. You can make a documentary about your company or industry if you want! YouTube doesn’t really demand regular publication, although there are many video bloggers and even companies that offer regular shows. More frequent publication can help build an audience base, especially if you want to talk about different types of project. You can create movies, slideshows, or whiteboard diagrams. It’s a way to show projects as they progress and record how your clients react to the finished product. You could also create short videos demonstrating how to do basic maintenance or other activities related to your work. Any of that can be published on your YouTube Channel for free. But you can also create a short video commercial and pay to have it inserted before or during other people’s videos. The setup allows you to customize who the audience will be so you won’t be reaching random people. You can connect with your local area and people who’ve done searches or made purchases somehow tied to what you can offer. You can also pay for non-video ads, such as those that lay on top of a video or in the side column. The difficulty on YouTube is coming up with ideas for the video and taking the time to create it. Obviously, this is a bit more complex than simply taking a photo, since you have to worry about audio, holding the camera somewhat steady over longer periods, and other issues. But there are a lot of software options to help with these and get your production ready for publication. It can also sometimes be difficult to keep coming up with ideas for videos. Finally, if you want to produce paid ads, it can take some time to get used to all the options for targeting and bidding in Google Ads. It takes constant refinement to make sure you’re reaching your audience at the ideal price. Pinterest may not be the first platform that comes to mind when it comes to advertising your contracting business. But in many ways, it’s ideal for a highly-visual product. While it’s great for finding recipes, sewing patterns, and fantastic ideas for do-it-yourself home projects, it can also be an avenue to show off your portfolio. This platform, with its “pins”, reached 350 million worldwide as of late 2018, up about 67% over two years prior. It’s also unique in that a huge majority of users – about 80% – are women. The percent of men using the platform has been growing steadily, though. Pinterest works based on “pins”. You can pin an image found elsewhere on the internet to your “boards” on Pinterest. Think of it like pinning photos, recipes, and more to a corkboard. This is normally done by using a browser extension that lets you just tap a button that will show up on the picture. You can also add or edit the description. A link to the original is included. That means Pinterest users can easily follow the pin back to its origins to learn more. This can be a great way to show off the gallery of photos from your website as you hope other users will pin and share your images as well. To help your growth, you can also pin other great ideas related to your work. For instance, as stamped concrete contractors we could share images of gardens, swimming pools and really any element of exterior or even interior design. You can divide everything into “boards”, each of which has its own theme. It’s quite easy to do and is all about raising brand awareness. Show what you have and users will follow it back to your website to learn more! As far as a schedule, pinning seems to work best when done in batches. For instances, you might pin 5-10 items at a time, from your own site and others. You could do that several times a week. Pinterest is all about the attractiveness of the images and requires finding attractive images and sharing them. On the one hand, it’s extraordinarily simple. It is worthwhile, too, but it might not feel that way at first since you aren’t actively creating ads to push your own service. Be patient, though; the attention will come! This is a different kind of platform but can definitely be worth your time, particularly if you are interested in commercial projects. It works for residential projects as well. LinkedIn is geared toward professionals and networking. As such, it’s important to remember that you have a different audience with unique opportunities when compared to other platforms. There are over 467 million users on LinkedIn, which is now owned by Microsoft. This site is geared toward mainly white-collar workers. It has a more serious tone than other platforms. That’s not to say you won’t see the occasional funny post, but mainly the users sign on to find information and insights from business leaders and to share thoughts and ideas for development. Like Facebook, LinkedIn has both profiles and pages. They work similarly, so it’s best to create a business page to promote your work. This is not the place for cat videos. It’s not all button-down business-only, but it’s not the rowdy free-for-all of other social networks, either. So keep that in mind when sharing articles and creating your own material. You aren’t going to get thrown off the platform if you stray too far from the norm, but you aren’t going to gain followers, either. Again, it’s important not to only talk about yourself. Share other peoples’ article about leadership and business management. But you can also write about and share images of your work. It’s a fantastic way to reach people who will be making decisions about what contractors they will hire. It is, though, a fantastic place to reach decision-makers. Of course, they’re going to carry what they’ve seen over into their home lives too. So it can be a source of both residential and commercial projects. The frequency of posting is generally more subdued on LinkedIn. Two to three posts a week is usually enough to make an impact. Don’t overdo it; remember you’re addressing busy professionals rather than people in their leisure time. Finding the right tone and balance is key here. It’s important not to give others the impression that you’re wasting their time by filling their feed with useless posts. Try to share information that will truly be helpful to them and that you yourself have learned from. Twitter was one of the original social networks when things really began to take off but it’s really struggled over the years. One reason is its ongoing struggle to combat bullying and hate speech Another may have been the limited amount you could say, although the expansion of the character limit from 140 to 280 has eased some of the stress. Still, it can be a useful marketing tool. Compared to other networks, Twitter lags behind when it comes to user base. Still, 335 million people is a lot of people. About 66% of users are male. The largest age cohort is 25-35 years old, but it’s relatively balanced among adults. Twitter doesn’t call for a lot of in-depth analysis, but it does benefit from frequent posting. Even 5-7 times a day (or more) can be effective. The material can be shared articles, memes, and direct advertising. As with Instagram, hashtags are important here. But it’s on a smaller scale – two hashtags get the best results; one to three is the acceptable range. This is the key way that people find material they are interested in. You should never post without at least one hashtag, but never overdo it either. Also, research hashtags before using them – you don’t want to accidentally get associated with something that would be detrimental to your brand. All you need to do is search for them on Twitter and see how they’ve been used lately. It’s not going to hurt your reputation to be on Twitter, but Twitter’s own reputation has been in decline for several years. It’s still worth using if it fits your needs but it’s future could be difficult. Also, do be careful about hashtags, as we already mentioned. A few brands – large and small – have gotten badly burned because they didn’t do their research. It’s simple to do and should never be ignored. It’s also tempting to follow others just for the sake of being followed back. In reality, that’s a bad practice. Try to interact with others, but it’s not necessary to follow more than a small group such as related industries whose news you really want to see. The goal is to have a lot of followers without needing to follow a lot of people. You might choose one or many social media platforms to use based on your own needs and target audience. It’s important to be present and active to show that you exist in the modern world. 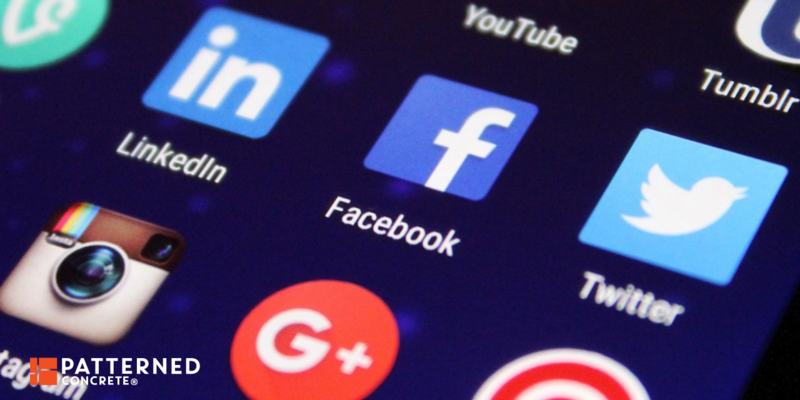 By following the general “best practices” and understanding each platform, you can build up your business and make a huge impact on your revenue using this relatively inexpensive form of marketing!